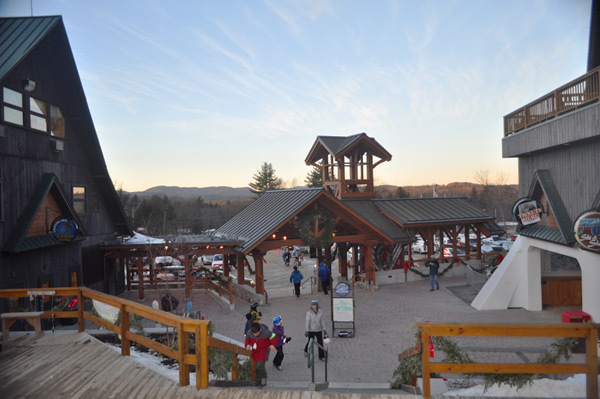 Located at the base of this well known New England Family ski area, this new master site plan includes a new entrance pavilion structure transition between the parking lot and existing plaza. 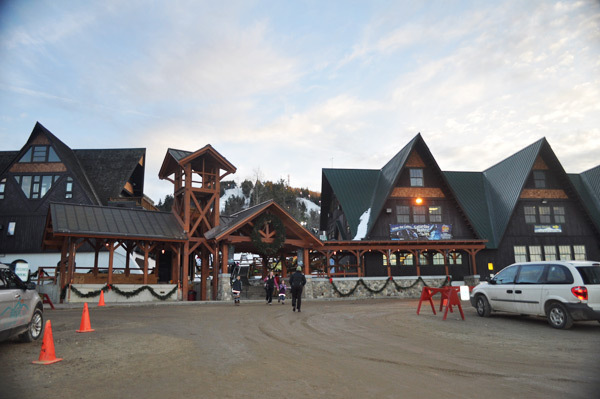 The extensive architectural scope of work includes redesigned facades in the style of Alpine resorts, new window fenestration, accessible entrances, and modified rooflines. Terraces are created using stone walls, ramps and steps to aid the flow of pedestrians. Marking the main guest entrance threshold is a dominant clock tower, carefully placed adjacent to the grand sweeping granite stairs and handicap accessible ramp. The new structures form a harmonious connection between exiting and new buildings, creating a unified assembly of forms, while framing the bold natural terrain of the mountain beyond.